Today many English towns, adjusting to the needs of the 21st century, are turning to the historic environment as a means of reinforcing their identity and distinctiveness, precious attributes in a town's local and regional profile. For Stourport-on-Severn, this special identity is written large in the central part of the town, for there can be few places with such a strong association with a single determining feature - for Stourport, its canal infrastructure - and with a discrete period of development - in this case, the period 1770 to 1850. The regeneration of Stourport depends on many things but the protection and presentation of its historic environment must lie at the centre of efforts to bring new life to the town. 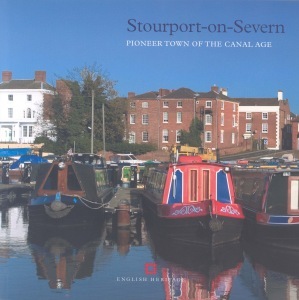 Understanding how Stourport assumed its present form is crucial to public enjoyment of the place and to the planning of change and this book aims to contribute to both aspects by celebrating the town's unique qualities and character.